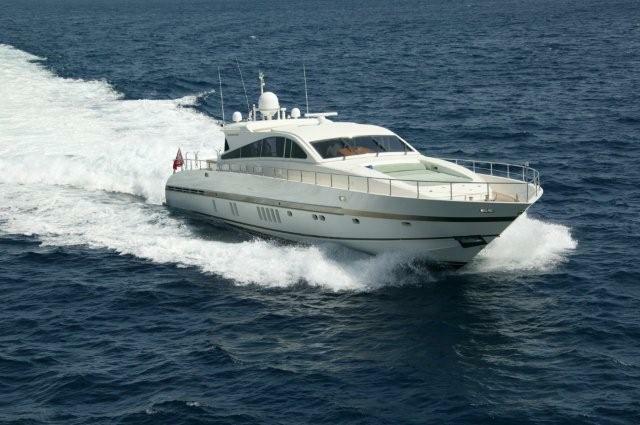 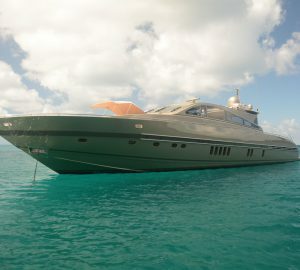 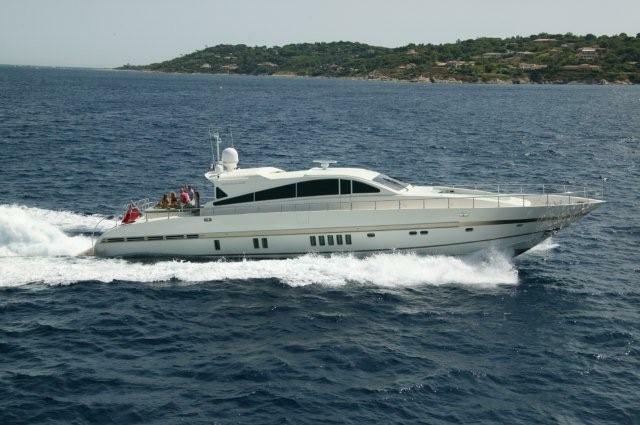 HARD WORK II is an innovative and well thought out 27 meter (88ft) Leopard Arno, she was built in 2006. 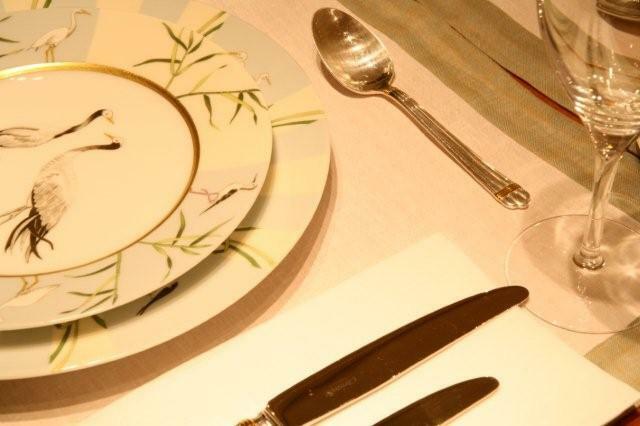 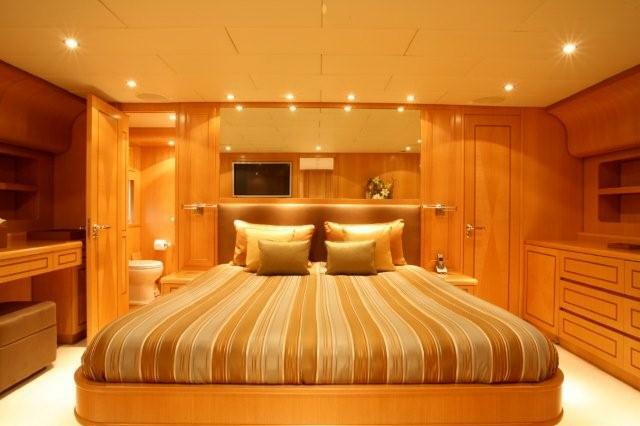 She can accommodate 6 guests in 3 deluxe cabins. 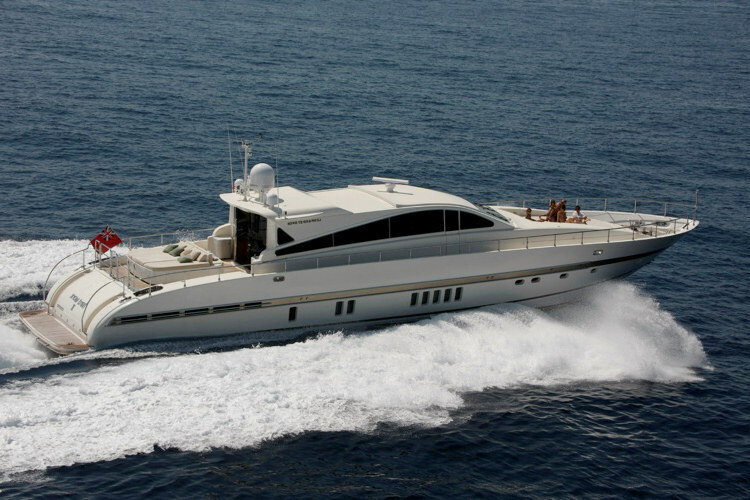 M/Y HARD WORK II has a planning hull design, with a shallow draft of just 1,2 meters (3.9ft) and sleek composite hull the yacht is capable of reaching exhilarating speeds of up to 40 knots powered by 2 x MTU 16v, 2200HP engines. 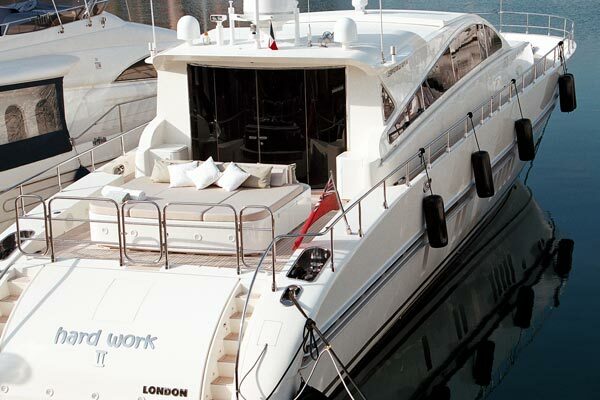 HARD WORK II has ample teak deck areas. 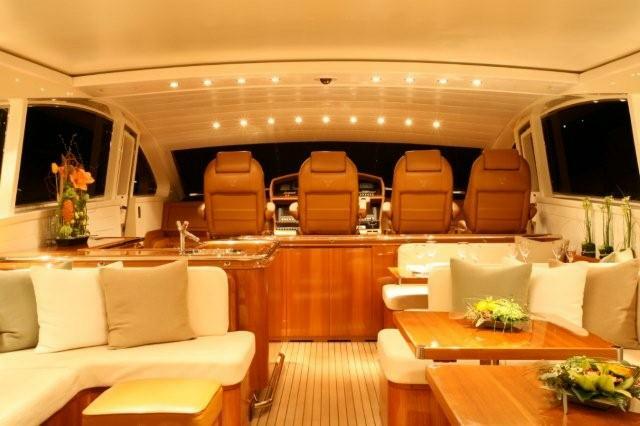 Her aft deck is generous offering a triple sunpad which quickly can be converted to a full alfresco dining table with seating and additional sofa, an optional Bimini cover can be extended for shade. 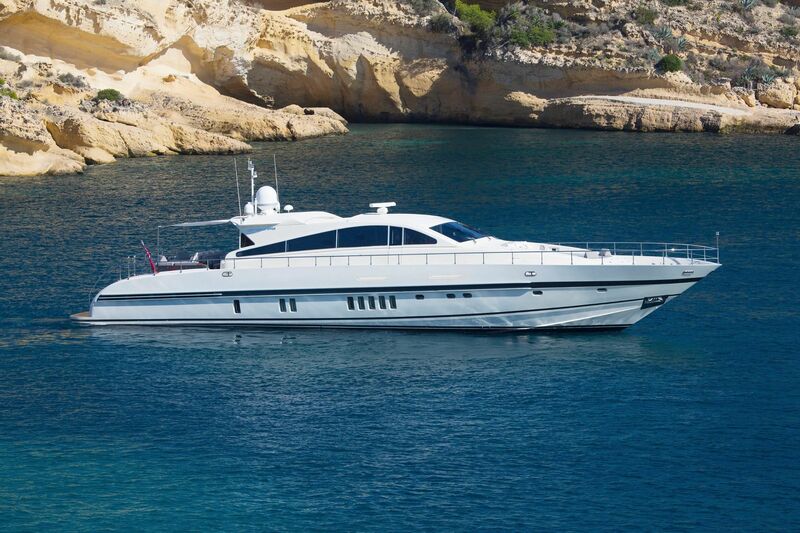 She has further fabulous sunning areas on the bow boasting another triple sunpad. 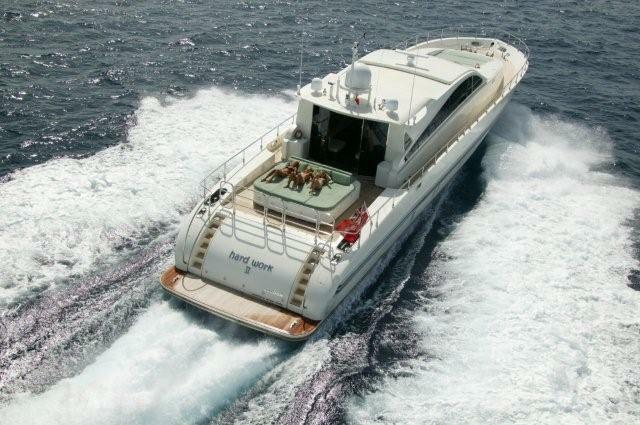 For the water enthusiasts a large swim platform aft offers easy water access to enjoy one of the many water toys. 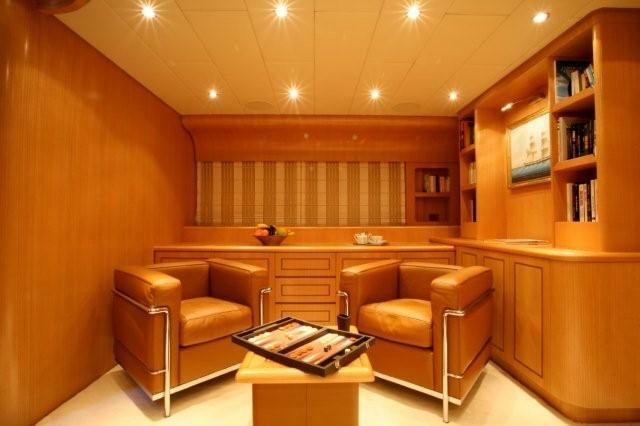 Leopard 27 motor yacht HARDWORK II has the following accommodations: Number of Cabins: 3 Cabins have a bright and airy interior and are composed of one master cabin with a connecting private salon, one double and one single cabin, all with ensuites and audio visual equipment. 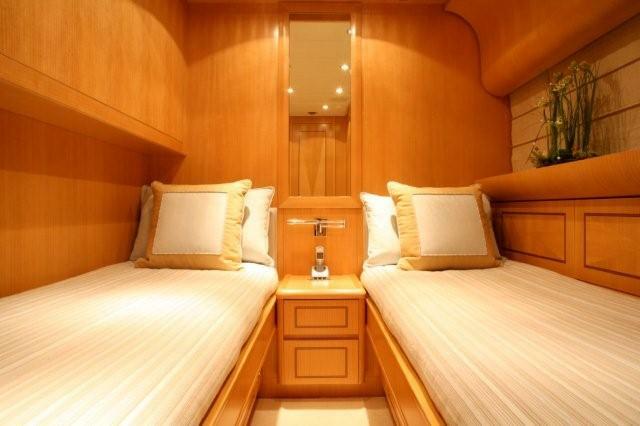 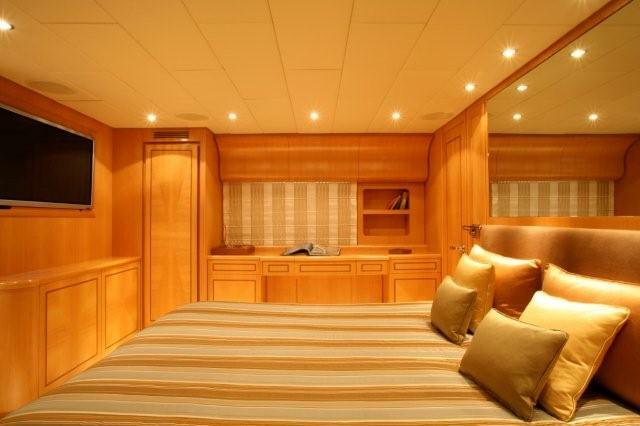 HARDWORK II has a MASTER CABIN aft, with King-size bed, ensuite shower room and separate toilet. 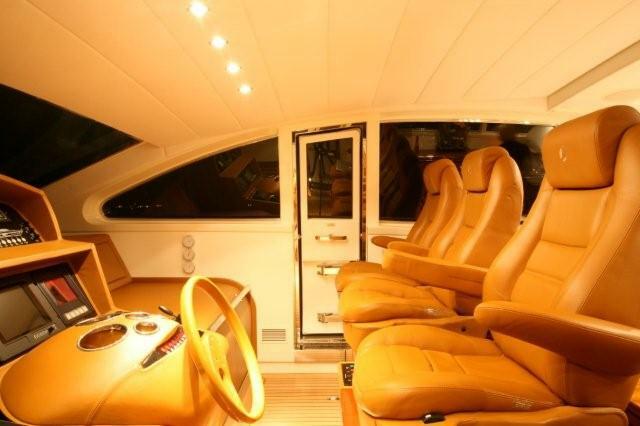 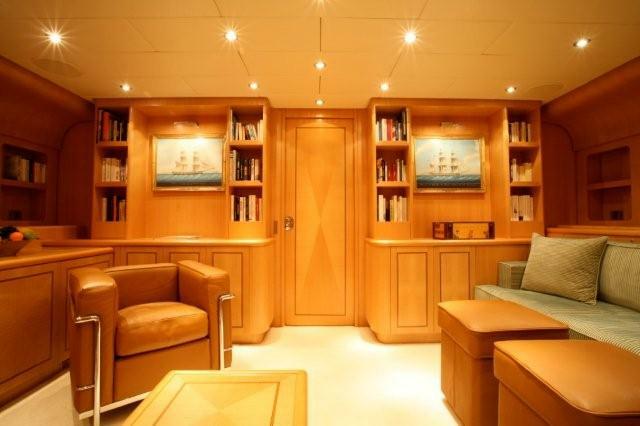 Her main salon below deck can be closed to act as ensuite salon to the Master cabin. 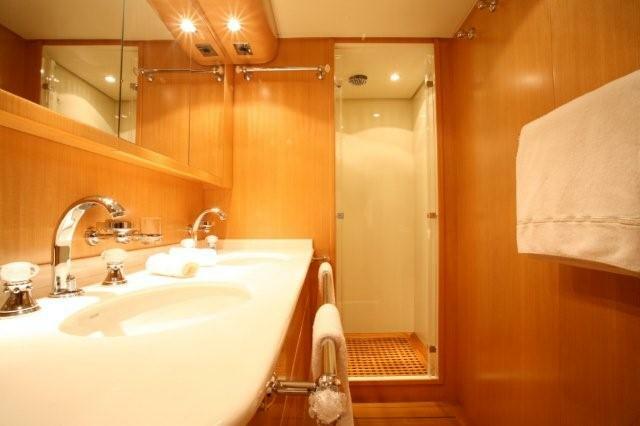 She also ahs a DOUBLE CABIN port amidships, with a double bed, ensuite shower room and a TWIN CABIN starboard amidships, with ensuite shower room (also acts as day head).